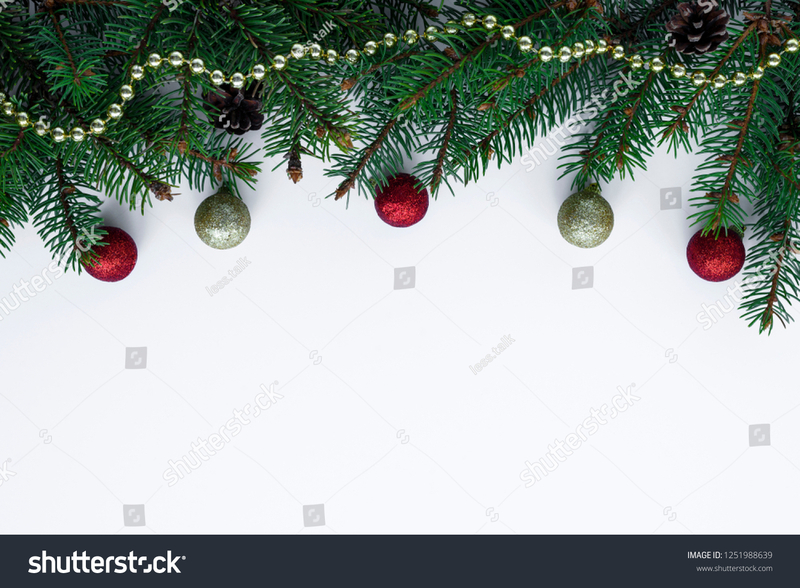 Decorative garland from christmas tree branches and cones. Top frame on white background, arranged from chain, little red and gold baubles. Copy space for wishes.